Former FBI Director James Comey "Can't quite understand" why Robert Mueller passed Trump's obstruction of the law to AG William Barr .?! 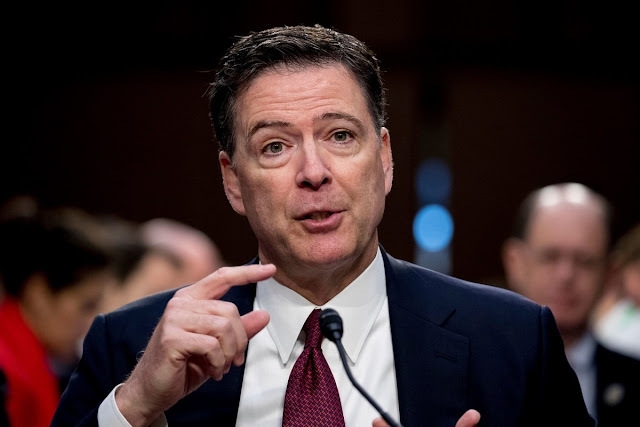 VietPress USA (March 27, 2019): James Comey was fired by Trump in May 2017 from his position as FBI Director. On June 8th, 2017, according to the Military Times's report, former FBI Director James Comey asserted that President Donald Trump fired him to interfere with his investigation of Russia's role in the 2016 election and its ties to the Trump campaign. "It's my judgment that I was fired because of the Russia investigation," Comey told the Senate intelligence committee in explosive testimony that threatened to undermine Trump's presidency. "I was fired in some way to change, or the endeavor was to change, the way the Russia investigation was being conducted," Comey testified under oath. "That is a very big deal, and not just because it involves me." Comey also accused the Trump administration of spreading "lies, plain and simple" about him and the FBI in the aftermath of his abrupt firing last month, declaring that the administration then "chose to defame me and, more importantly, the FBI" by claiming the bureau was in disorder under his leadership. And in testimony that exposed deep distrust between the president and the veteran lawman, Comey described intense discomfort about their one-on-one conversations, saying he decided he immediately needed to document the discussions in memos. Today, just days after special counsel Robert Mueller submitted his final nearly 2-year-long investigation report that finds no collusion between Trump's campaign team 2016 with Russia; former FBI Director James Comey delivered his much anticipated first public telling of his relationship with Trump, speaking at a packed Senate intelligence committee hearing that brought Washington and parts of the country to a standstill as all eyes were glued to screens showing the testimony. 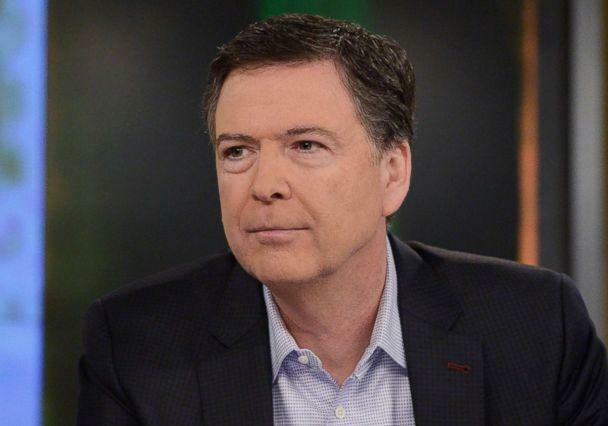 James Comey continued his ongoing feud with president Trump in his first comments since the release of Attorney General William Barr's summary of the Mueller report at an event hosted by the Learning Society of Queens University in Charlotte Tuesday night. "I think it's very very important that the American people get transparency," Comey told the audience, calling for a full release of the report, according to The Charlotte Observer. No video or audio recordings of the event were allowed, but a number of reporters were in attendance. Comey said he wasn't hoping for "a particular result" -- despite the president's penchant for calling him "Lyin' James Comey" on Twitter -- but did have a problem with Mueller not taking a position on obstruction and allowing Barr, a Trump appointee, to decide on filing an indictment. Former FBI Director James Comey said he had "great faith" in Robert Mueller, but he's still confused by the special counsel's decision to pass the buck on deciding whether President Donald Trump obstructed justice in the Russia investigation. Comey, who was fired by Trump in May 2017, continued his ongoing feud with the president in his first comments since the release of Attorney General William Barr's summary of the Mueller report at an event hosted by the Learning Society of Queens University in Charlotte Tuesday night. "I can’t quite understand what’s going on with the obstruction stuff," Comey said at the event. "I have great faith in Bob Mueller, but I just can’t tell from the letter why didn’t he decide these questions when the entire rationale for a special counsel is to make sure the politicals aren’t making the key charging decisions." Mueller wrote in his report that he could not conclude that Trump committed obstruction, but also that the report does not exonerate him. Barr's letter instead said the decision on the crime of obstruction was passed to himself, and deputy Rod Rosenstein: "The Special Counsel's decision to describe the facts of his obstruction investigation without reaching any legal conclusions leaves it to the Attorney General to determine whether the conduct described in the report constitutes a crime." 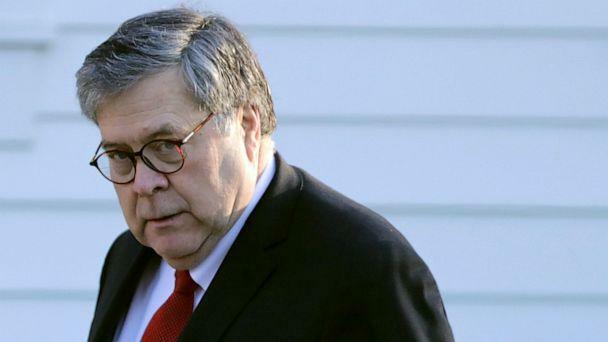 Barr decided the conduct detailed in the special counsel's report did not constitute a crime. Comey's reference to "politicals" apparently alludes to Barr's relationship with Trump. On Tuesday night, Comey emphasized the first part of the Mueller report, which details Russian interference in the 2016 election through a sustained campaign of hacking and spreading disinformation on social media. And while he said he wasn't hoping for Trump to come under indictment, he did get in a few shots at Trump, at one point saying the president "doesn't know anything about leadership." Trump has had a number of explanations for why he fired Comey four months into his presidency, but said simply, "He wasn't doing a good job," in his initial comments a day after the dismissal.